Dr. Rawson is a Board-Certified Neurologist and one of the newest additions to the Gilbert Neurology team. Dr. Rawson received her medical degree from Touro University College of Osteopathic Medicine in Vallejo, CA in 2008. She went on to complete her internship and neurology residency training at Wilford Hall Medical Center and Brooke Army Medical Center in San Antonio, TX in 2012 while serving active duty in the United States Air Force. She went on to continue active duty service in the USAF the next 4 years as a neurologist stationed at Joint Base Elmendorf-Richardson in Anchorage, AK. Dr. Rawson is a general Neurologist who evaluates and treats patients with a variety of concerns in the outpatient setting at Gilbert Neurology and inpatient setting at Mercy Gilbert Medical Center. She looks forward to partnering with her patients to help them achieve their wellness goals. 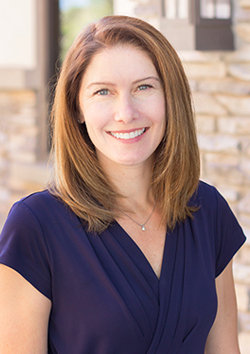 Dr. Rawson lives in the East Valley with her husband, son and daughter. She enjoys spending time with her family, running and hiking.